David Hill is an experienced civil litigator who has tried over fifty cases before the Connecticut State and Federal courts. 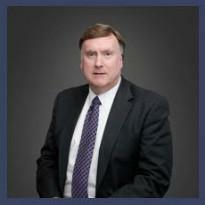 He represents institutions, business entities, professionals and individuals in a wide variety of actions, including those based on personal injury, malpractice, product liability, commercial transactions, and healthcare disputes. David has extensive experience with complex litigation and with claims involving death and catastrophic loss. Having practiced for over twenty years at one of Connecticut's largest insurance defense firms, David is accomplished in all facets of defense litigation, including the analysis and resolution of coverage issues. David his skills to represent clients from the initial meeting, through the deposition and discovery process, through mediation, arbitration, and/or civil trial.